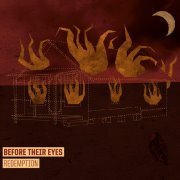 Last week I posted news about Before Their Eyes' new album, which is due for release on March 27th through InVogue Records, as well as their new single. Before Their Eyes posted the first track, Lies, on Youtube recently. I've posted it again for you to check out. News - Hawthorne Heights need your help!